One of the biggest misconceptions about chiropractic is that it’s ALL about the neck and low back pain. While their care IS beneficial and chiropractors do help a lot of people suffering in pain, the true benefit of chiropractic care is that it helps your body function better and optimally. By caring for the spine and nervous system, I have had the privilege of helping so many people achieve better health and a better quality of life so they can continue to do the things they love! I spend countless hours reading research to better understand how the chiropractic adjustment and how removing nervous system interference can accomplishes JUST THAT! In doing so, I read a very interesting study published in the Journal of Manipulative and Physiological Therapeutics which demonstrated that chiropractic adjustments can BOOST antioxidants! 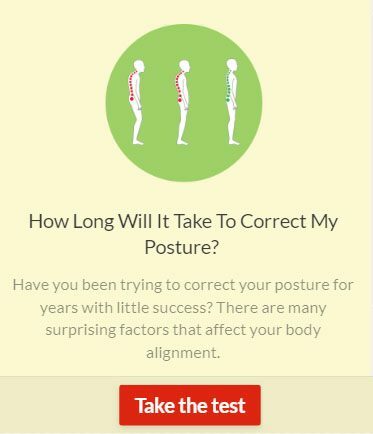 Now, if you are someone who has yet to see a chiropractor, not knowing if it’s for you or what to expect, take a look at this link If I go to the Chiropractor, do I have to go forever? and explore how chiropractic can help you! Why The Fuss About Antioxidants? Most people nowadays are familiar with antioxidants and know enough to know that they are GOOD and that they are important to your health. However, here’s WHY antioxidants are so important. Most people are blasted with different types of stress every single day from poor nutrition to exposure to toxins. Most people are overworked and over-stressed working sedentary jobs, working 40-60 hours a week, trying to meet the next deadline and getting very little exercise. All of these stressors lead to the buildup of oxygen-containing toxic waste in your body. These are known as free radicals. Free radicals lead to the breakdown of cells. The more free radicals, the more cellular breakdown. This process is called “oxidative stress”. Click here For more information on the importance of antioxidants and get a list of the top 10 antioxidant rich fruits. Oxidative stress leads to conditions like cardiovascular disease and cancer and causes accelerated aging, a lowered immune system, and harms the nervous system. We cannot completely avoid free radicals and oxidative stress but we can offset their impact on our health by ensuring a healthy daily consumption of antioxidants through proper nutrition. But get this, the study I am referring to looked at 23 patients that were in pain and received chiropractic adjustments over the span of 5 weeks. Blood samples were taken from each patient before and after receiving their adjustments and researchers found a significant increase in superoxide dismutase (SOD), and glutathione peroxidase anti-oxidant levels! Now obviously this is a preliminary study that warrants further research but the results are exciting nonetheless. It illustrates that taking care of your spine and nervous system with chiropractic care enhances your body’s ability to heal and function properly. I hope that any of my readers that are under chiropractic care find this potential benefit as interesting as I do!